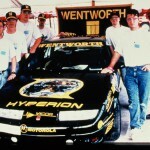 HEV Challenge was a significant project because it put a considerable number of prototype HEVs on the road. Engineers from 51 different colleges and universities modeled and studied the capabilities of hybrid electric drivetrains over three years, which set performance benchmarks and demonstrated the potential of future vehicle technology. 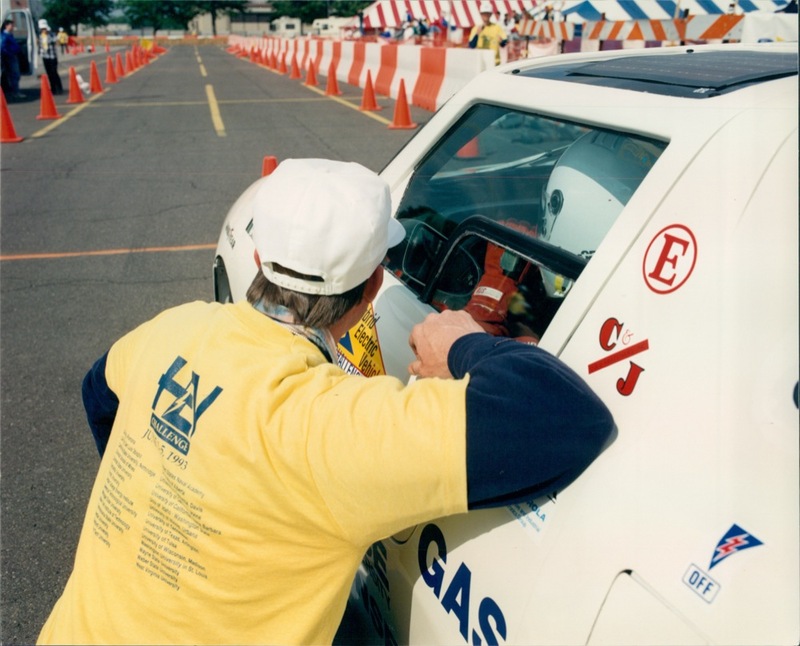 Over the course of three years, HEV Challenge organizers developed HEV dynamometer test procedures that were designed to fit the needs and constraints of the competition. 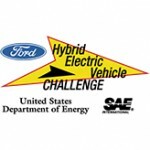 Students benefitted in many ways from designing and building a hybrid electric vehicle. 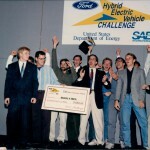 At the time, the competition featured the largest fleet of hybrid electric vehicles anywhere in the world. 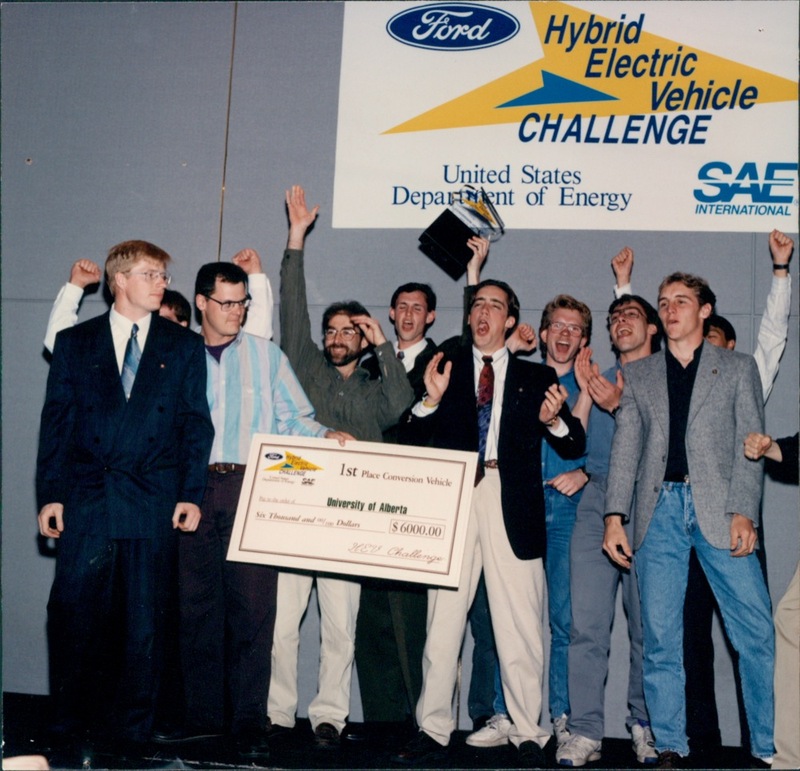 Western Washington University won first and second place in the 1993 HEV Challenge Paper Competition, where they designed a hybrid electric vehicle which ranged from 45 miles on full-electric charge to 554 miles in hybrid capability. Based on the performance of the “ground-up” hybrid electric vehicles in 1993, data revealed a 1 km/kWh energy economy benefit for every 133 kg decrease in vehicle mass. 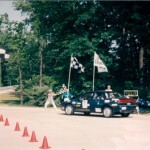 Michigan State University built a series hybrid electric vehicle that featured nickel metal hydride batteries with a fiber glass and carbon fiber cloth. Cal State, San Luis Obispo’s ground-up vehicle featured a two-person tandem seating with a single gull-wing door. Lawrence Tech created a brand new ground-up vehicle in between competition years by a adding an electromagnetic clutch to disengage the motor when it is not in use. Cornell built three separate ground-up conversions, including adding a custom microcontroller, switching from M85 to CNG, and developing graphite-honeycomb matrix body panels. Consumer acceptability was first introduced in to AVTCs in 1995. 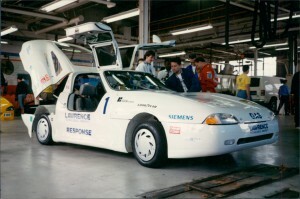 The Dodge Neon conversion class required teams to use CNG and have functioning air conditioning. 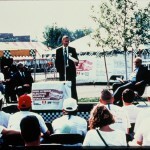 University of Maryland’s vehicle featured solar cells. Penn State used Electro Source Horizon batteries to help power its series, charge-sustaining, large electric-only range, hybrid vehicle. 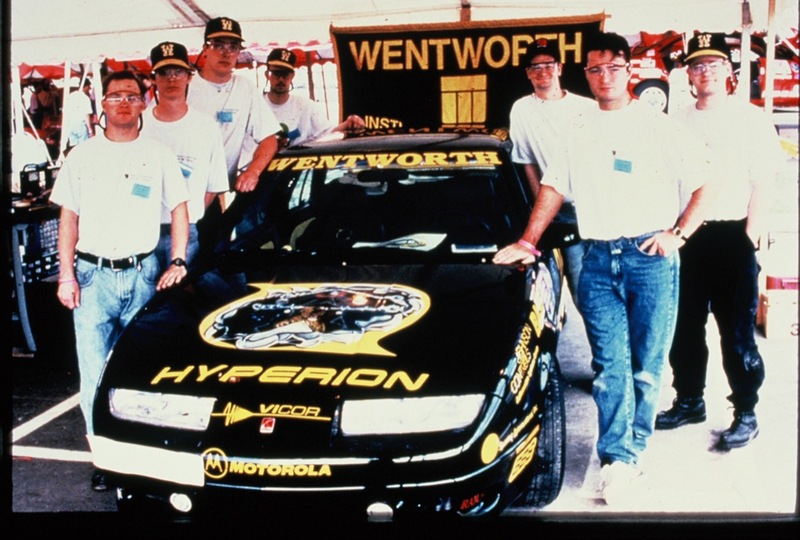 University of Tennessee, Knoxville rebuilt their Geo 1.0-L 3-cylinder, 4-stroke engine, which increased their compression ratio in the cylinders from 9.21 to 9.91. 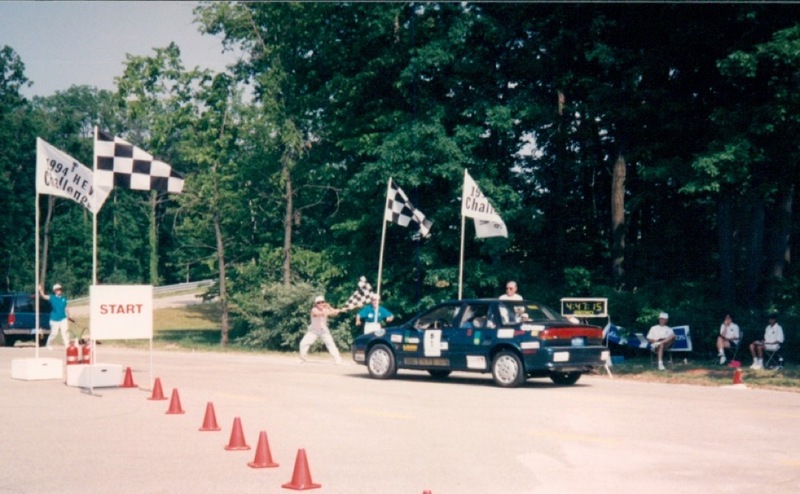 West Virginia University was the most efficient methanol vehicle in 1993 HEV Challenge. University of California, Davis was able to travel 134 miles on one electric charge using zinc-flow battery. 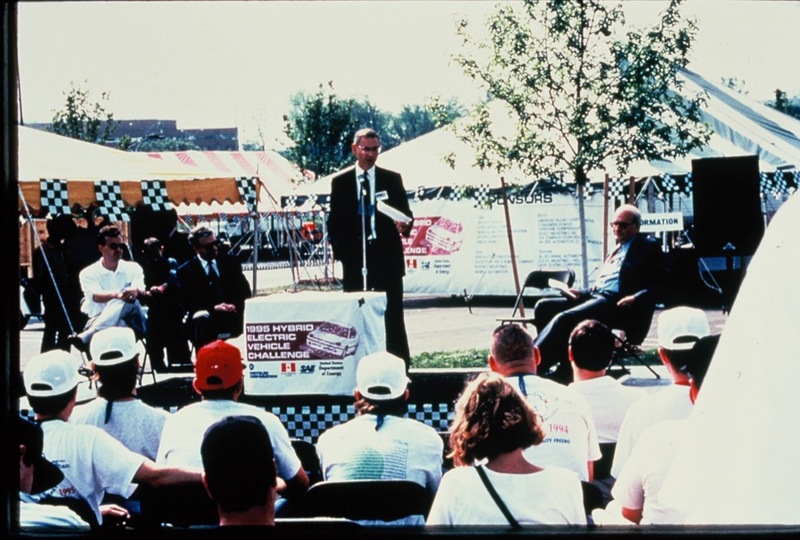 Kohler Engines implemented the University of Wisconsin-Madison’s small engine emissions to improve Kohler engine performance. 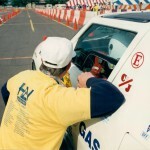 HEVs built by University of Illinois at Chicago, University of Maryland, and University of California-Davis were used to evaluate SAE draft HEV emissions test procedures for J1711. Detroit Edison was able to gather data from HEV Challenge to help support mass-produced electric vehicles for commercial fleets.